“Happy are you when people insult you and persecute you and tell all kinds of evil lies against you because you are my followers. Be Happy and glad, for This is how the prophets who lived before you were persecuted. This entry was posted in The Bible and tagged God, Jesus, Message of Love, The Bible, The Sermon on the Mount on July 6, 2018 by manish. 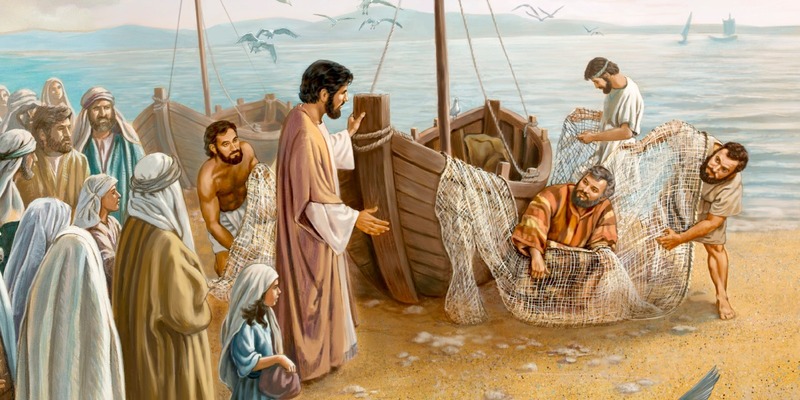 As Jesus walked along the shore of Lake Galilee, he saw two brothers who were the fisherman, Simon (called Peter) and his brother Andrew, catching fish in the lake with a net. Jesus said to them,”Come with me, and I will teach you to catch men. At once they left their nets and went with him. He went on and saw two other brothers, James and John, the sons of Zebedee. They were in their nets ready father Zebedee, getting their nets ready. 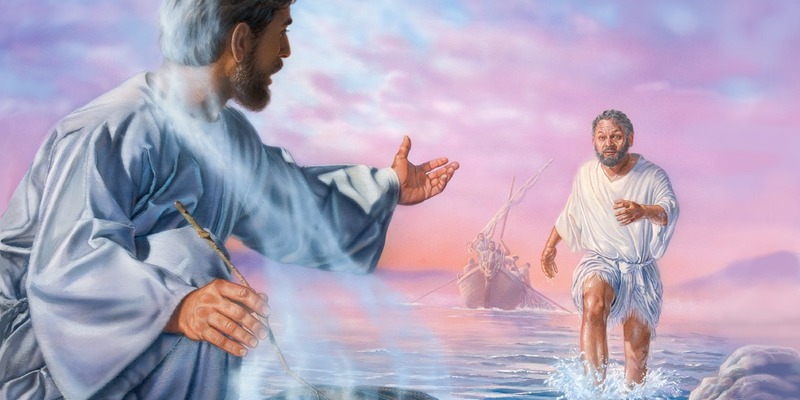 Jesus called them, and at once they left the boat and their father and went with him. This entry was posted in The Bible and tagged Galilee, Jesus calls Four Fisherman, Message of Love, Zebedee on July 6, 2018 by manish. Then the Devil left Jesus, and the angels came and helped him. 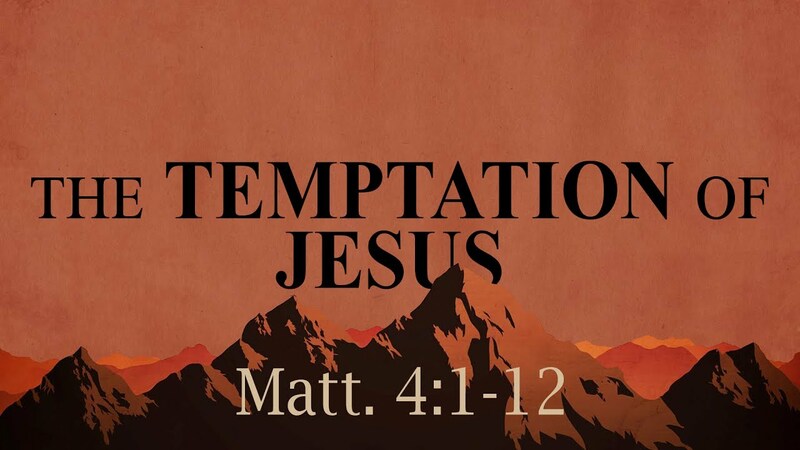 This entry was posted in The Bible and tagged God, Jesus, scripture, The Temptation of Jesus on July 5, 2018 by manish. But Jesus answered him, ” Let it be so for now. For in this way we shall do all for that God requires. ” So John agreed. This entry was posted in The Bible and tagged Galilee, God, Jesus, The Bible on July 5, 2018 by manish. John’s clothes were made of camel’s hair; he wore a leather belt around his waist, and his food was locusts and wild honey. People came to him from Jerusalem, from the whole province of Judaea, and from all the country near the River Jordan. 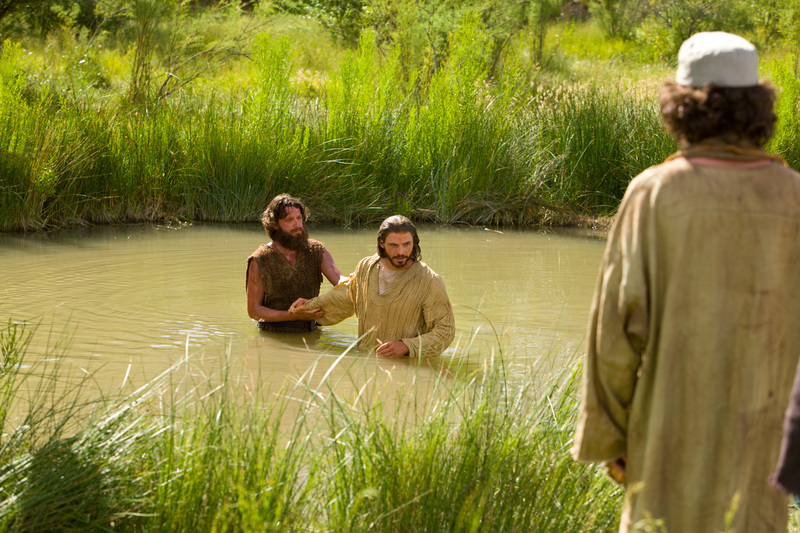 They confessed their sins, and he baptized them in the Jordan. When John saw many Pharisees and Sadducees coming to him to be baptized. he said to them, “you snakes — who told you could escape from the punishment God is about to send? ” Do those things that will show that you have turned from your sins, ” And don’t think you can escape punishment by saying that Abraham is your ancestor. I tell you that God can take these stones and make descendants for Abraham! The axe is ready to cut down the trees at the roots; every tree that does not bear good fruit will be cut down and thrown in the fire. 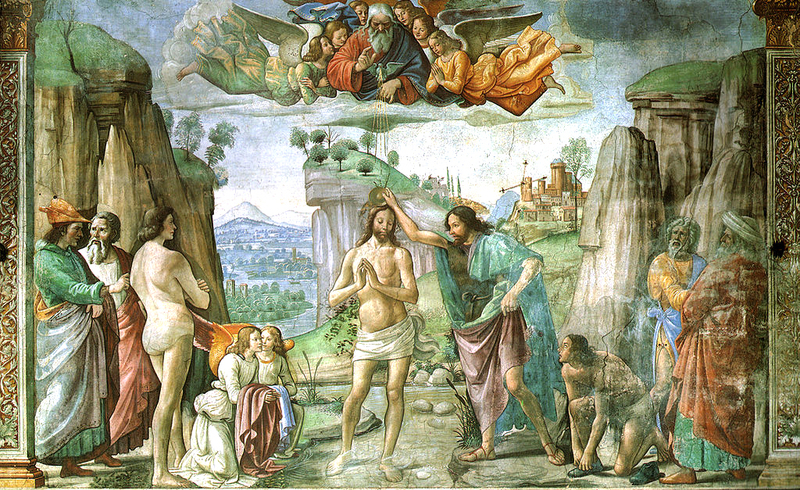 I baptize you with water to show that you have repented, but the one who will come after me will baptize you with the Holy Spirit and fire. This entry was posted in The Bible and tagged Judaea, Message of Love, The Baptist, The Bible, The Preaching of John on July 3, 2018 by manish. Here, we are going to know about The Escape to Egypt. When an angel of the lord appeared in a dream and said Herod will be looking for the child to kill him. When Herod realized that the visitors from the east had tricked him, he was furious. He gave orders to kill all the boys in Bethlehem and its neighborhood who were two years old and younger — this was done in accordance with what he had learned from the visitors about the time when the star had appeared. After Herod died, an angel of the Lord appeared in a dream to Joseph in Egypt and said, Get up, take the child and his mother, and go back to the land of Israel, because those who tried to kill the child are dead. 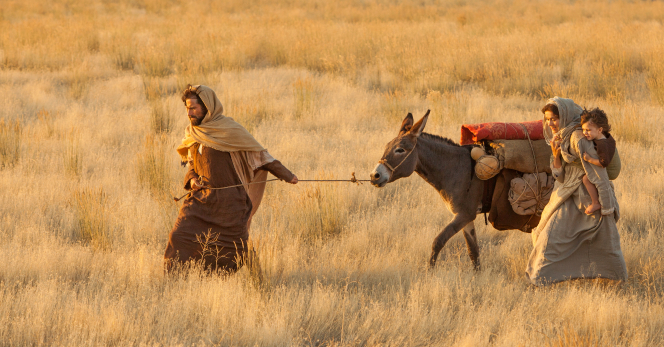 So, Joseph got up, took the child and his mother, and went back to Israel. This entry was posted in The Bible and tagged angel, Herod, Joseph, Message of Love, Prophet, The Bible, The Escape to Egypt on July 3, 2018 by manish. This was how the birth of, Jesus Christ took place. His mother Mary was engaged to Joseph, but before they were married, she found out that she was going to have a baby by the Holy Spirit. 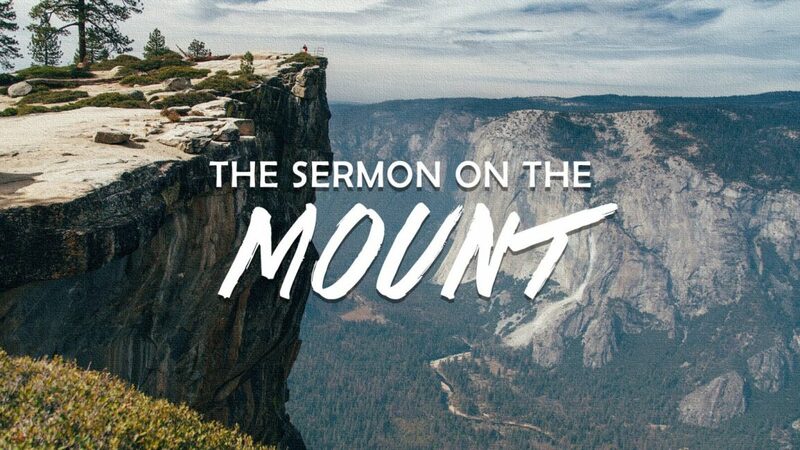 Joseph was a man who always did what was right, but he did not want to disgrace Mary publicly; so he made plans to break the engagement privately. So when Joseph woke up, he married Mary, as the angel of the Lord had told him to do. But he had no sexual relations with her before she gave birth to her son. And Joseph named him Jesus. And so they left, and on their way they saw the same star they had seen in the east. When they saw it, how happy they were, what joy was theirs! It went ahead of them until it stopped over the place where the child was. 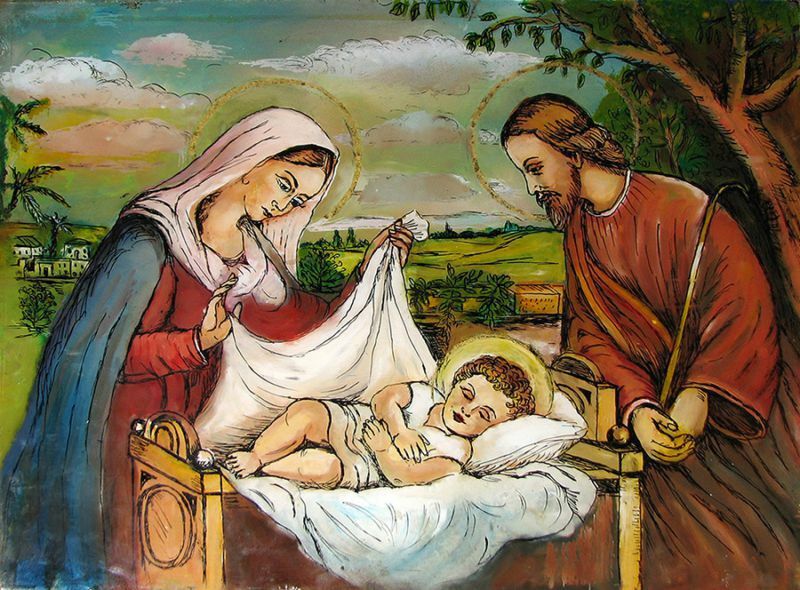 They went into the house, and when they saw the child with his mother Mary, they knelt down and worshiped him. They brought out their gifts of gold, frankincense, and myrrh, and presented them to him. This entry was posted in Early Childhood Education, Life Coaching, The Bible and tagged Bible, Christ, Message of Love, The Bible, The Birth of Jesus Christ on July 3, 2018 by manish.